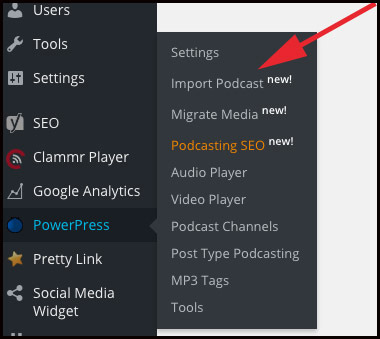 You can easily move your podcast from SoundCloud to your own PowerPress powered WordPress site by following the directions below. Please Note: Importing only includes your episode meta data from SoundCloud. Please see Migrate Media after importing to migrate your media files. Install PowerPress on your WordPress blog. 4. Paste your RSS feed from SoundCloud. 5. Check or uncheck the desired options. Select ‘Advanced options’ for more import options. Download and save iTunes image takes your image from your SoundCloud feed and saves it to your PowerPress artwork settings. Overwrite podcast program information updated your program information based on what is in your SoundCloud feed. Note: This will overwrite settings already present in PowerPress settings. Allow duplicate episode titles and dates allows duplicate posts. In most cases every episode has a unique title and unique posting date. Use this option in the event you have duplicate dates and/or titles. 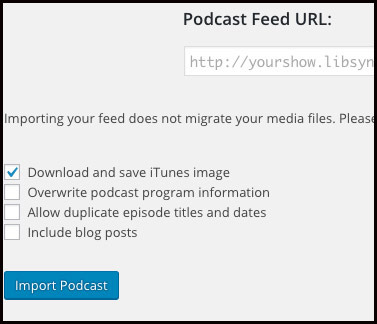 Include blog posts allows you to import non-podcast episode posts as well as your podcast episode posts. This is only necessary if you are migrating from a service that also provides blogging functionality. 6. Click the “Import Podcast” button. Your podcast feed with episode meta data is now imported. If you have not done so yet, please configure the PowerPress Settings to make sure everything looks the way you want it. You may repeat this process if the source feed changed, had errors, or you would like to try a different selection of import options. The import tool uses unique information to identify if an episode was already imported. Once your PowerPress podcast feed is ready, you may redirect your SoundCloud podcast feed to your new PowerPress powered feed. Go to soundcloud.com and navigate to your Content Settings page. Enter the URL for your new PowerPress powered feed in the “Subscriber redirect” field. You can now end all premium service with SoundCloud, but do not delete your account. We recommend keeping the version free of your SoundCloud account this way SoundCloud will maintain the feed redirect indefinitely. 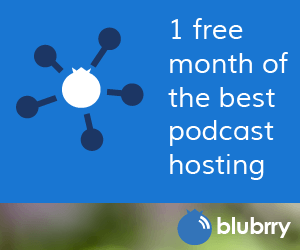 Please see the Migrate Media page for detailed instructions on how to migrate your media to your Blubrry podcast hosting account.